Happy New Year from Club Spring Mountain.....your destination for extreme fun in 2014! Reflecting on an historic year, monumental improvements were made to the facility along with new partnerships, milestones and services added for our valued members. Highlights are listed below. February 2013 - A massive track expansion project begins, featuring over 2 miles of new road course surface and a 150,000 skid-pad. The new track is 40' wide and features an 81' elevation change high-speed spiral with a high bank, a blind ascent and extreme G-force turns. After the expansion Spring Mountain is the longest track in the country at 6.1-miles and the second longest in the world. March 2013 - Announcement of a partnership with another "Sister Club,"Autobahn Country Club in Joliet, Inullllinois along with a reciprocal membership for Club Spring Mountain members. 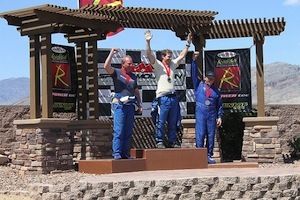 April 2013 - Radical West, USA announces the inaugural season of the Radical Cup, a professional traveling racing series sanctioned by North American Road Racing Association (NARRA.) The six-round championship is run at top racing circuits in North America with Radical West and Powertec USA providing track-side support. Spring Mountain acquires a 4-vehicle transporter to support the new venture. June 2013 - A 7200 square foot multi-purpose Training and Event Center is constructed adjacent to the new section of track, with development continuing on the track extension and skid pad. July 2013 - Construction begins on a 14-bay air-conditioned Garage Building to accommodate new members' vehicles. August 2013 - Grading begins on 80 residential home sites at the perimeter of the facility creating the exclusive residential community 'Spring Mountain Estates.' A new Control Tower is built for viewing the new section of the track. September 2013 - Spring Mountain Motor Resort & Country Club is chosen as the host of the Official 2014 Chevrolet Corvette Stingray Dealer Sales Academy. The Sales Academy is a mandatory 1 1/2-day training program for C7 Dealers. October 2013 - Tentative Subdivision Map Approval is granted by Nye County on 80 residential home sites at the perimeter of the facility. A Platinum Membership is created and offered to members who wish to purchase a home site at Spring Mountain Estates. More improvements to the facility are on the horizon including a completely remodeled entrance to the facility, two new buildings for vehicle storage, a lake and an Aquatic Center, plus fencing for traffic control and security. View our video model of a drive through the new entrance! This June marks the 10-year anniversary of the purchase of the track, and through the vision of partners John Morris and Brad Rambo, Spring Mountain has evolved from a 2.2-mile driving school with tent structures to a world class destination for motorsports enthusiasts. Read the history of our incredible transformation! CEO John Morris, pictured at left, predicts that 2014 will be even more exciting with continued improvements and big announcements to be unveiled in the coming months. None of our progress would have been possible without the support and enthusiasm of our loyal Club Spring Mountain members who have supported our vision and fueled our progress through the years. We thank you sincerely for your business and we look forward to serving you during our continuing evolution. 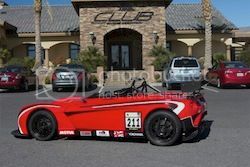 On December 12, Spring Mountain Motor Resort hosted the Lotus Cup USA final event of 2013. The race weekend featured several run groups, including Race, Time Attack, and HPDE sessions. Invited guests of Cars & Coffee were also at the event to take to the track in between the Lotus Cup sessions. 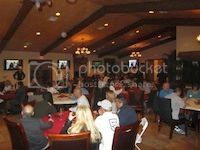 On Saturday night entrants attended the Series Banquet in the Clubhouse. The year-end event was enjoyed by all of the participants, and as Jonathan Moore of Speed Hunters reported in his lively event recap, "As with any one-make series, it might be fun and friendliness in the paddock, but everyone is serious once they hit the track." Lotus Cup USA is the factory-backed, motorsports venue for Lotus enthusiasts across North America. The West Coast race series features the top Lotus drivers in the country, competing in a variety of modern Lotus racecars - Elise, Exige, 2-Eleven, and Evora. The series offers drivers a true developmental series with professional coaching, technical support, and more. Don't miss the next action-packed Club race weekend! Attention racers, NOW is your chance to get a head start on the points totals for this year's championship. The extended forecast calls for plenty of sunshine with highs in the 60s ... come out, enjoy the sunshine and begin the new year with a visit to the Club. Your race weekend begins on Saturday with a Drivers Meeting at 8:00 am, followed by 25 minutes of Orientation laps at 50 mph speeds (flashers required.) 25-minute sessions (Radicals, Sports Cars and non-racers) for practice, fun and qualifying will run throughout the day. Once again this month we will feature TWO separate Radical races...a rookie race and an SR3/Unlimited Contest. More flaggers, additional corner worker stations and a Professional Race official from NARRA will be on hand for rule enforcement. This month we run the Mansell "C" 3.4-mile road course on Saturday, and the Stewart "C" 2.9-mile configuration on Sunday. Your Thursday and Friday morning practice sessions will be held on the all-new 2.1-mile track, and on Friday afternoon (after the GM program) the complete race course will be open for your enjoyment all weekend. Please note the Club Condominiums will not be available for rental on Thursday evenings for the duration of the Corvette Dealer program. Wednesday, Friday, Saturday and Sunday rentals are available by reservation through Erik Odegard, Members Coordinator. Please contact Erik for Thursday night room options. 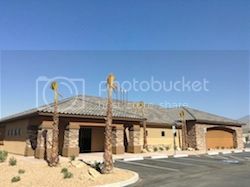 Members will have full use of the Clubhouse for administration, restrooms, pool, jacuzzi, fitness center and massages at any time during the GM program, even during the week. The only restriction is during actual meal times and just a portion of the clubhouse will be affected. Our new interior road allows direct access to the new section of the property from the front gate. Executive Chef Susan will be hosting member lunches on Thursdays and Fridays on race weekends in the multi-purpose building adjacent to the new track. Saturday night Awards Banquet! Please join us for an evening of cocktails, dinner and camaraderie at the Clubhouse on Saturday night, with a delicious menu by Chef Susan. Throughout the race weekend, buffet breakfasts are included in your race fees. Lunches are 15.00 with pre-registration or $20.00 at the event, and Dinner is $35.00 with pre-registration or $40.00 at the event. Congratulations to all of our 2013 Miata and Radical Race Champions! The winners of the Radical SR3 and Unlimited Class categories, John Falb and Ken Melgoza, were awarded an all-costs paid drive at Spa Francorchamps in Belgium by our friends at Radical Sports Cars in England. For more information about the January race weekend, please view the Saturday and Sunday race schedule. For the latest race results, check out the final 2013 points standings for the Radical Race Series, and the final 2013 points totals for the Miata Series. View all the photos from December's Club Race weekend. We look forward to seeing all of our members at the Club in 2014! 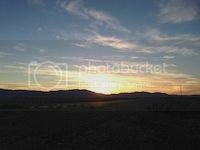 How nice would it be to watch the sunset from your home at Spring Mountain after a long day at the track? Now you can choose a home site at Spring Mountain through our Platinum Membership upgrade. The first custom residential homes at the facility will be under construction soon, including the residences of CEO John Morris and Charter Member Jeffrey Cheng. Several model homes with choices of floor plans will be built and open for viewing in the spring. Home sites of 1/3 acre, with a building pad of 110'x100' (depending on the location) are now available for pre-order, and you will have first choice of the location of your parcel with your Platinum upgrade. We have received Tentative Subdivision Map approval by Nye County, Nevada, and development continues at full speed on parcel improvements. Any membership that is currently in good standing at Club Spring Mountain can be upgraded to Platinum status. In addition to the benefits included in your regular membership, an upgrade to a Platinum membership offers you first choice of the location of your parcel, exclusive private access to the beach and cabanas, more guests allowed per month on your membership, gate passes, and much more. 100% of the $25,000 initiation fee will be applied to the purchase of your parcel. For complete details on the Platinum upgrade, please contact Mike Weeks, Vice President of Sales, at 949-235-7810, or mike@racespringmountain.com. We welcome your feedback and appreciate your comments and suggestions on how we can make your time at Club Spring Mountain more enjoyable. For more news, photos and information about upcoming events, be sure to "like" us on Facebook, and follow us on Twitter for the latest developments. Thank you for your support, and if you have any questions, please feel free to contact Erik Odegard, your personal Country Club Representative. Erik can be reached via email erik@racespringmountain.com, TOLL FREE at 800.391.6891 ext. 241, or by cell (702) 335-5450. The holidays have arrived we're celebrating the season at Spring Mountain Motor Resort & Country Club. December is a festive month of awards, celebrations, trophies and year-end events at the Clubhouse. Join us to congratulate your fellow drivers on a job well done this year, and to celebrate our mutual achievements in 2013. Racers competing for year-end trophies and prizes: this is your last chance to add to your final point totals, so make your plans NOW to participate in the final Club Race weekend of the year! Racers can compete in the Miata and Radical competitions at the Club Race weekend on December 14-15, 2013. For the first time ever in our history, drivers will be running a union of 4 configurations to form a 6.1-mile track - a high-speed, challenging road course to test your physical and mental limits. There's lots of fun in store for you this month, so consult our Calendar for all the upcoming events. If you haven't yet had the chance, NOW is the time to drive our NEW ultra-smooth, wide and lightning fast track extension, and enjoy Spring Mountain's over SIX miles of road course, the longest track in North America. The new 2.1-mile 40' wide track features an 81' elevation change high-speed spiral with a high bank, a blind ascent and extreme G-force turns. Beautiful curbs with special features for safety and speed are ready to test your limits, and a new control tower allows better viewing of the latest section of track. Cheers to a momentous year! It's time to make some memories with friends, fans and loved ones with a holiday visit to your own private oasis. Call Erik Odegard, your personal Country Club Representative, today to schedule your visit to the Club. Erik can be reached via email erik@racespringmountain.com, TOLL FREE at 800.391.6891 ext. 241, or by cell (702) 335-5450. Sunny skies expected for the last race weekend of the year! Don't miss the next action packed race weekend with sunshine in the forecast! The holiday fun begins on Saturday with a Drivers Meeting at 8:00 am, followed by 25 minutes of Orientation laps at 50 mph speeds (flashers required.) 25-minute sessions (Radicals, Sports Cars and non-racers) for practice, fun and qualifying will run throughout the day. Once again this month we will feature TWO separate Radical races...a rookie race and an SR3/Unlimited Contest. A Miata and Lotus Race will also be held on Saturday and Sunday, with separate races for Miata and Lotus on Saturday, and a combined Miata/Lotus race at 1:15 pm Sunday afternoon. More flaggers, additional corner worker stations and a Professional Race official from NARRA will be on hand for rule enforcement. This month we will be running a high-speed and challenging 6.1-mile course! Your Thursday and Friday morning practice sessions will be on the all-new 2.1-mile track, and on Friday afternoon (after the GM program) the complete race course will be open for your enjoyment all weekend. Our new interior road allows direct access to the new section of the property from the front gate. Executive Chef Susan will be hosting member lunches on Thursdays and Friday on race weekends in the multi-purpose building adjacent to the new track. Saturday night Awards Banquet! Please join us for an evening of cocktails, dinner and awards presentation at the Clubhouse on Saturday night, with a delicious menu by Chef Susan. We will be giving out trophies for the winners of the Radical and Miata contests, and announcing the winners of the Grand Prize trip to Spa Francorchamps in Belgium. Throughout the race weekend, buffet breakfasts are included in your race fees. Lunches are 15.00 with pre-registration or $20.00 at the event, and Dinner is $35.00 with pre-registration or $40.00 at the event. For more information, please view the Saturday and Sunday race schedule. View the latest points standings for the Radical Race Series. Miata race standings are not yet available, but can be requested from Erik Odegard. We look forward to seeing all of our members at the last Club weekend of the year! You can be one of the first members to choose a home site at Spring Mountain through our Platinum Membership upgrade. The first private residential homes at the facility will be under construction within 30 days. Home sites of 1/3 acre, with a building pad of 110'x100' (depending on the location) are now available for pre-order, and you will have first choice of the location of your parcel with your Platinum upgrade. We are happy to announce that we just received Tentative Subdivision Map approval by Nye County, Nevada, and development continues at full speed on parcel improvements. 2013 has been a year of growth and change, with many of our dreams becoming a reality thanks to your support. We are grateful for your belief in our vision for Club Spring Mountain, and look forward to having you as our neighbors! Tina Edgerton, our lovely and talented licensed massage therapist, invites you to come in and enjoy a relaxing treatment at a special low holiday rate! Tina has been in the business for 13 years, and is experienced in all techniques of massage, including Swedish, Sports massage, Deep Tissue, Hot Stone massage and more. Come and experience our custom massage center and receive a relaxing treatment after a day of racing to rejuvenate your tired, sore muscles. Members and guests rave about Tina's healing touch and her beautiful spirit, so it's time for you to come in and find out what everyone is so excited about! Our special holiday gift to you: Enjoy a luxurious 90-minute Hot Stone Massage during the holiday season (before January 1, 2014) for only $125.00! 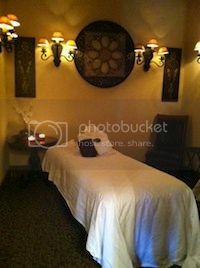 (Regular price for a 90-minute Hot Stone Massage is $145.00.) Please call Erik Odegard to schedule your appointment with Tina today. Give the gift of Health and Happiness with Massage Gift Certificates! Are you searching for holiday gift ideas for your friends or loved ones? Do you need to find a token of your appreciation to present to a colleague for a job well done? Show your loved ones you care about their health and well-being by giving the gift of relaxation and rejuvenation. Club Spring Mountain offers Gift Certificates for massage services in all denominations for your convenience. Buy a holiday gift certificate for a friend or loved one today! The management and staff at Club Spring Mountain would like to extend our very best wishes for a holly dark Happy Holiday Season and a successful New Year to you and your families. We are sincerely thankful for your business and support through the years, which has made all of our dreams for Club Spring Mountain members a reality. Looking to the future, we know that 2014 will be better than ever, with new developments and amenities for all of our club members to experience. To allow our staff to celebrate the holidays with their families, Club Spring Mountain will be closed Christmas Day, December 25, 2013 and New Year's Day, January 1, 2014. We're looking forward to serving you through the New Year. We are always interested in your feedback and appreciate your comments and suggestions on how we can make your time at Club Spring Mountain more enjoyable. For more news, photos and information about upcoming events, "like" us on Facebook, or follow us on Twitter. Thank you for your support, and if you have any questions, please feel free to contact Erik Odegard, your personal Country Club Representative. Erik can be reached TOLL FREE at 800.391.6891 ext. 224, or by cell (702) 335-5450. 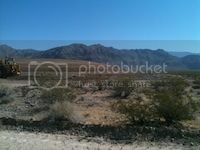 Ideal Desert Climate and more amenities than ever! The festive season is upon us and the place to celebrate is Spring Mountain Motor Resort & Country Club. You'll find perfect weather for a seasonal getaway and the Clubhouse looks more beautiful than ever with holiday decorations. 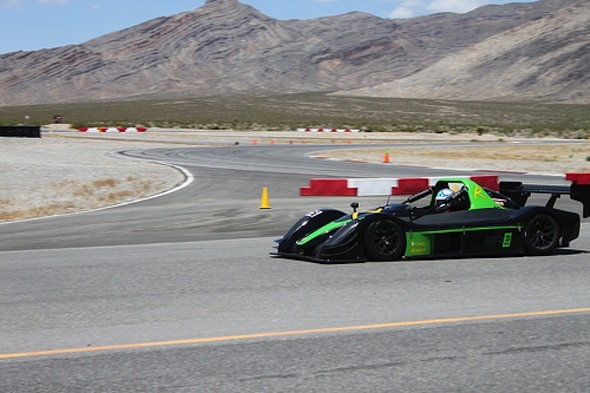 Racers competing for year-end trophies and prizes: you only have a few more chances to add to your points totals, so make your plans NOW to participate in the Sports Car and Radical competitions at our next Club Race weekend on November 23-24, 2013. Meet the owners of Radical who are visiting from England, and test drive the hottest car in the country - the new Radical RXC - with experts from the factory offering driving tips! There's lots of fun in store for you during the final months of the year, so be sure to consult our Calendar to see all of the upcoming events. If you haven't been here this season, you're in for a treat! Drive the NEW ultra-smooth, wide and lightning fast 2.1-mile track extension, and enjoy Spring Mountain's over SIX miles of road course, now the longest track in North America, for an unforgettable experience. The new 2.1-mile 40' wide track features an 81' elevation change high-speed spiral with a high bank, a blind ascent and extreme G-force turns. Beautiful curbs with special features for safety and speed are ready to test your limits, and a new control tower allows better viewing of the latest section of road course. Changes are occurring before our eyes this season! Check out our elegant and spacious Training and Event Center, adjacent to the latest section of the track. The brand new entrance to the 2.1-mile track is complete, and an interior road connects the original and new sections of the facility. A new Control Tower allows easy viewing of the latest track extension. Relax your muscles in our updated jacuzzi which is now heated for your use on a daily basis. In the meantime, development is continuing on the residential and commercial parcels at a lightning-fast pace, and now you can own your own residential parcel at the exclusive Spring Mountain Estates. View our computerized vision of the proposed Commercial Center, complete with movement and graphics! Now is the time to make some memories with friends, fans and loved ones with a visit to your own private oasis in the desert. Give Erik Odegard a call today to schedule your visit to the Club. Erik can be reached via email - erik@racespringmountain.com, call him TOLL FREE at 800.391.6891 ext. 241, or by cell (702) 335-5450. Don't miss the final two race weekends of the year! Join us for an action packed Club race weekend this month! The fun begins with the Saturday and Sunday Drivers Meeting at 8:00 am, followed by 25 minutes of Orientation laps at 50 mph speeds (flashers required.) 25-minute sessions (Radicals, Sports Cars and non-racers) for practice, fun and qualifying will run throughout the day. Once again this month we will feature TWO separate Radical races...a rookie race and an SR3/Unlimited Contest. Miata and Lotus Races will also be held on Saturday and Sunday. Racers, don't miss this important weekend - you only have two more chances to increase your points for next month's awards banquet, December 14-15. More flaggers, additional corner worker stations and a Professional Race official from NARRA will be on hand for rule enforcement. This month we will be running a high-speed and challenging 4.25-mile course! Your Thursday and Friday morning practice sessions will be on the all-new 2.1-mile track, and on Friday afternoon (after the GM program) the complete race course will be open for your enjoyment all weekend. Miata and Lotus Races! In addition to our Radical contest, a highlight of next weekend's action-packed Club race weekend will be the Miata and Lotus races on both Saturday and Sunday. Be sure to cheer on our Sports Car racers in this fun and exciting competition. Quick Access to the Practice Track. Our new interior road allows direct access to the new section of the property from the front gate. Executive Chef Susan will be hosting member lunches on Thursdays and Fridays of race weekends in the multi-purpose building adjacent to the new track. Saturday night Banquet! Please join us for an evening of cocktails, dinner and holiday celebration at the Clubhouse on Saturday night, with a festive menu by Executive Chef Susan. Buffet breakfasts are included in your race fees. Lunches are $15.00 with pre-registration or $20.00 at the event, and Dinner is $35.00 with pre-registration or $40.00 at the event. For more information, please view the Saturday and Sunday race schedule. View the latest points standings for the Radical Race Series. Read up-to-the minute Miata race results. Check out the photos from the October 2013 Club Race. We look forward to seeing all of our members at this exciting Club weekend! 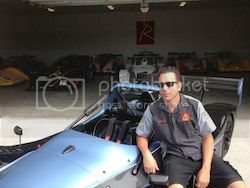 Radical Factory VIP's Visit - Test Drive an RXC on Race Weekend! We are thrilled to announce that VIPs, race experts and factory-trained professionals from the Radical factory in England will be here for the official US unveiling of the Radical RXC and test drives of the hot new performance car at November's Club Race weekend. Don't miss this extraordinary opportunity to test the performance of the all-new Radical RXC on the track, and get driving advice from expert race professionals in the field. Joining us for next weekend's Club Radical Race are Phil Abbott, Co-Founder of Radical Sportscars and Technical & Racing Director; Nick Dove, Commercial Director; Christian Droop, Chairman; Paul Dujon, Export/Sales Coordinator/Photographer; Jamie Robinson, Radical Sales; and Roger Green, Marketing Manager. To lend support during the races, technicians James Abbott, Development Driver; George Tillson-Smith and Dan King, Senior Technicians, will also be on-hand for the festivities. Make your plans today to be here for November's exciting race weekend and say hello to the experts from the Radical factory! Watch a video interview by Generation High Output with our own Simon Shepard, Director of Radical West, on the new RXC! Powered by a new Ford Mustang V6, its 1,800 pound curb weight allows blistering performance. The 3.7L Ford Duratec 37 Ti-VCT engine produces 380hp, accelerating 0-62mph in 2.8 seconds with a top speed of 175mph. The car utilizes its own throttle bodies, exhaust and standalone ECU. To set up a test drive of the Radical RXC on Friday or Saturday, November 22-23, please contact Simon Shepard via email simon@racespringmountain.com, or by phone 714-369-3361. Club Spring Mountain's transformation includes a rare opportunity to own a piece of the dream. You can be one of the first members to choose a home site at Spring Mountain through our Platinum Membership upgrade. The first private residential homes at the facility will be under construction very soon. Home sites of 1/3 acre, with a building pad of 110'x100' (depending on the location) are now available for pre-order, and you will have first choice of the location of your parcel with your Platinum upgrade. We are happy to announce that we just received Tentative Subdivision Map approval by Nye County, Nevada, and development continues at full speed on parcel improvements. 2013 has been a year of growth and change, with many of our dreams becoming a reality thanks to your support. We are grateful for your belief in our vision for Club Spring Mountain, and look forward to having you in the neighborhood. A relaxing massage is the perfect holiday gift! Tina Edgerton, our lovely and talented licensed massage therapist, invites you to come in and enjoy a relaxing treatment at a special low holiday rate! Tina has been a massage therapist for 13 years, and is experienced in all techniques of massage, including Swedish, Sports massage, Deep Tissue, Hot Stone massage and more. Come and experience our custom massage center and receive a relaxing treatment after a day of racing to rejuvenate your tired, sore muscles. Members and guests rave about Tina's healing touch and her beautiful spirit, so it's time for you to come in and find out what everyone is so excited about! During this season of gratitude, we are thankful for our valued Holiday Table Club Members. We appreciate your business and thank you sincerely for your confidence in us. Our progress this year would never have been possible without your support. On behalf of the management and staff at Club Spring Mountain, we wish you and your loved ones a very happy Thanksgiving. Huge Developments at the Club! Are you ready for an adrenaline-packed Autumn? Don't miss the fall season at Club Spring Mountain, your destination for motorsports excitement. Yes, you'll be among the FIRST to run on the NEW ultra-smooth, wide and screaming fast 2.1-mile track extension, and at the September Club race weekend you will race on the longest road course ever run in our history...a union of THREE track configurations for speed, agility and heart-pounding excitement. Experience the NEW 2.1-mile track through this video link, both clockwise and counter-clockwise! Get ready for an ALL NEW track experience this season! After a momentous summer of development at our 313-acre facility, we're ready for the biggest and best season of the year. Club members will find MORE amenities than ever with our latest expansion. * THE TRACK! The paving of the new 2.1-mile 40' wide track is complete and turned out very smooth, including an 81' elevation change high-speed spiral (similar to the famous Laguna Seca corkscrew) with a high bank, a blind ascent and extreme G-force turns. The all new road course also features 4 fast new straights, ranging from 700 to 2,200 feet. Spring Mountain is now the longest track in the Americas, with over 6-miles of road course for your driving pleasure. * SKID PAD. You'll have more space to hone your skills with our new 300x500 square foot Skid Pad. * CURBS. Beautiful new curbs with special features for safety and speed are painted and ready for action. * RUNOFF. The back fill and runoff is now graded and compacted. * TRAINING & EVENT CENTER. Our new multi-purpose, 7200 square foot Deluxe Training and Event Center is right on schedule and should be complete by mid-September...just in time for our first Performance Driving Classes on September 16. * NEW ENTRANCE! A brand new entrance to the latest section of the track is paved and ready for entry off the Highway. * INTERIOR ROAD. An all-new section of interior road connecting the original and new sections of the facility will be complete in time for the September Club Race weekend, September 21-22. * GARAGES. The 14-bay garage building with Air Conditioning is now complete and nearly sold out. * JACUZZI. The all-new 12-14 person Spa is finished, and will be heated for your use on a daily basis. * CONTROL TOWER. Construction of the new control tower for the track extension is now under way with completion scheduled for September 15. * RESIDENTIAL & COMMERCIAL LOTS. Development is continuing on the residential and commercial lots and we should be seeing maps and grading later this winter. Plans include the construction of Hotels, Restaurants, Gas Stations and more. * THE LAKE! Plans are being finalized for an 8-acre, 10-foot deep lake for Paddle-boarding and Jetpack operations, complete with white sand and cabanas. We'll keep you posted on further developments here. None of our progress would be possible without your enthusiasm and support, and we thank you sincerely for your confidence in us as we continue to provide a world-class Club experience for you and your guests. We are proud to announce that Spring Mountain Motor Resort & Country Club is the host of the Official 2014 Chevrolet Corvette Stingray Dealer Sales Academy. Less than one-third of Chevrolet's dealers across the country will be selling the redesigned 2014 Chevrolet Corvette Stingray when sales begin later this year. The 2014 Corvette Stingray coupe will be shipped to eligible dealers in the third quarter and record sales are projected. Spring Mountain is ready for the Dealers to experience a 1 ½-day extensive training program. Before the Dealers can sell the highly sought-after Corvette, they must first designate specialists in Stingray Sales and Service and attend our Training Program. Dealers began their training last week and the program is expected to run for 7 months, until March 2014. As The Official High Performance Driving School of Chevrolet, our own Ron Fellows Performance Driving Schools are set to begin September 16, with classes to be held in the newly completed Training Center. Get ready for some racing excitement this month! Join us for an action -packed race weekend this month, beginning with the Saturday and Sunday Drivers Meeting at 8:00 am, followed by 25 minutes of Orientation laps at 50 mph speeds (flashers required.) 25-minute sessions (Radicals, Sports Cars and non-racers) for practice, fun and qualifying will run throughout the day. Beginning with the September Race weekend, we will feature TWO separate Radical races...a rookie race and an SR3/Unlimited Contest. A Miata Race will be held on Saturday and Sunday, and we will have a Bracket Race on Saturday afternoon, pending participation. To cover the new course we will add 5 additional flaggers, more corner worker stations and a Professional Race official from NARRA. Please note that no Club members will be involved in rule enforcement. For the FIRST time we will be tying all three tracks together and you'll be racing on a fast, easy-to-learn 4-mile course that has never been driven before! Your Thursday and Friday morning practice sessions will be on the all new 2.1-mile new road course, and on Friday afternoon (after the GM program) the 4-mile configuration will be open for your enjoyment all weekend. A new interior road is now being completed with direct access to the new section of the property from the front gate. This will allow members to travel directly from the original track to the new section. Chef Susan will be hosting member lunches on Thursdays and Friday on race weekends in the multi-purpose building adjacent to the new track. Club Spring Mountain is proud to offer more member track days than any other Club in the country and to be the only Club providing use of the track every weekend. We have extended the track several times to provide more course variations, amenities and track use to the members. The members will always have the use of at least two of the four configurations nearly every weekend of the year, including the Radical Loop, the North Loop, the South Loop and the new East Loop. Ladies, start your engines! One of the highlights of the September Club Weekend will be the Women's Radical Exhibition Race on Saturday, September 21 between Monica Carlson and Collette Brawner. Come out for the fun, invite your friends and support these passionate women racers in an exciting 15-minute wheel-to-wheel race contest between two beautiful contenders. We'll see you there! Saturday night Banquet! Please join us for an evening of cocktails, dinner and camaraderie at the Clubhouse on Saturday night, with a sumptuous menu by Chef Susan. Buffet breakfasts are included in your race fees. Lunches are 15.00 with pre-registration or $20.00 at the event, and Dinner is $35.00 with pre-registration or $40.00 at the event. For more information, please view the Saturday and Sunday race schedule. View the latest points standings for the Radical Race Series. Check out the photos from the June 2013 Club Race weekend. We look forward to seeing all of our members at this exciting Club weekend. Please welcome Scott Sapio, our new Radical Workshop Director, to the team. Scott grew up in South Jersey and moved west as a teenager. His love for engines began early, and at age 15 Scott built and modified Camaros and Trans Ams for the Grand Am racing series. Through high school Scott worked at auto dealers such as Porsche, BMW, Chevrolet, Aston Martin, and Mercedes. 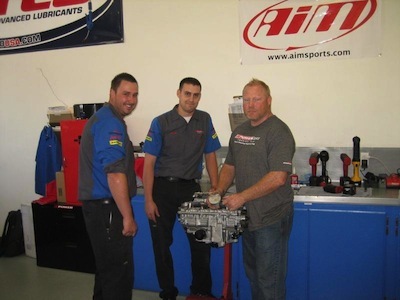 Most recently, after serving for 4 years as Fixed Operations Director at a GMC Dealer in Utah, Scott had his own business specializing in servicing and building exotic and custom cars. He sold his business and relocated to Las Vegas from Park City this year. Scott has been a club racer since he was old enough to drive, both cars and bikes. After a bike accident at Laguna Seca in 2005, Scott converted to cars and bought a 1995 BMW M3. Scott currently has a modified 2008 BMW coupe, a 1995 V8LS powered M3, Harley Davidson Softail, and a custom truck he builds in his spare time. Single with no children, Scott's passions are travel and playing with cars. One of Scott's contributions to Radical is a revolutionary new billing system, and beginning October 1 the program will officially go on line. Our Club members will benefit with faster billing, within a few days to a week from the work being performed, even on race weekends. The entire parts inventory will be on the system as well. It runs much like a dealership's computer system and is very accurate and simple. Scott weighs in on his position at Radical, "I started with Radical West in May of this year and absolutely love it as well as all the members and staff. This is by far a world-class facility and I'm just happy to be a part of it." Scott is your "go-to" guy for anything service-related with your Radical. He will be handling all of the communications between our members and the shop as far as work as well as running and overseeing the workshop functions, parts department and assisting Nicole with billing. Scott can be reached on his mobile phone at 702-721-6106, or via email scott@radicalwest.com. Our traveling race series, the inaugural Radical Cup 2013, has been a huge success with many of our members touring the top race tracks in the US to compete for points and prizes. Last month's contest was held at our sister club, Autobahn Raceway. The Radical Cup championships and prizes, including the chance to race in the Radical Masters Euroseries and test a top European LMP2 car, will culminate in the season finale at another sister Club, Monticello Motor Club, Sept 6-8. Congratulations to our expert member racers, who made us proud in the series this spring and summer! View the current Radical Cup Points Totals. 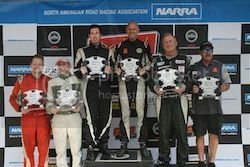 For more information about last months' contest, view the NARRA race report. It's New, It's FUN, It's Blo-Kart! Experience the track from a new and different perspective with a Blo-Kart! Imported from New Zealand, this fun, fast and compact land sailor will allow you to feel the wind in your sails as you navigate the track or paddock. Have fun racing your friends, cruising around the Club, or just feel the adrenaline rush while gliding through a strong wind on the Spring Mountain road course. Be one of the first in the area to try out this is taking the world by storm! 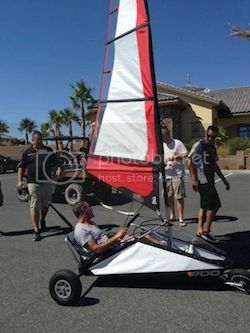 Blo-Kart is now available for purchase at the Club for only $3,900, complete and ready to sail. 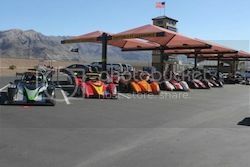 Spring Mountain Motor Resort & Country Club is the official Nevada dealer for Blo-Karts and we have several in stock for you to try out during your next visit. Call us TOLL FREE at 800.391.6891 or contact us to arrange a test sail today! We welcome your and appreciate your comments and suggestions on how we can make your time at Club Spring Mountain more enjoyable. For more news, photos and information about upcoming events, be sure to "like" us on Facebook, and follow us on Twitter for the latest developments. Thank you for your support, and if you have any questions, please feel free to contact Erik Odegard, your personal Country Club Representative. Erik can be reached via email erik@racespringmountain.com, TOLL FREE at 800.391.6891 ext. 241, or by cell (702) 335-5450. Join us this month and check out the latest improvements! Need an adrenaline boost? Club Spring Mountain, featured in Bloomberg Pursuits as "one of 5 racetracks to drive now, "is guaranteed to push your heart rate far beyond the target zone! Try out the NEW ultra-smooth, wide and lightning fast 2.1-mile track extension on your next visit to the Club. At the October Club race weekend you will drive on one of the longest road courses ever ...a merger of THREE track configurations for speed, agility and exhilaration. Better to drive it in person, but you can also experience the 2.1-mile track extension through this video link, both clockwise and counter-clockwise! The reviews from drivers have been quite favorable, and we especially enjoyed member and expert driver John Falb's description of the new track, "Massive ribbons of glorious asphalt!" Spring Mountain is now the longest track in North America, with over 6-miles of road course for your driving pleasure. The new 2.1-mile 40' wide track features an 81' elevation change high-speed spiral with a high bank, a blind ascent and extreme G-force turns. Beautiful new curbs with special features for safety and speed are ready to be tested, and a new control tower allows better viewing of the latest section of track. Our new multi-purpose, 8000 square foot Deluxe Training and Event Center is elegant and spacious. The brand new entrance to the latest section of the track is ready, and a section of interior road now connects the original and new sections of the facility. The 14-bay garage building is nearly sold out. 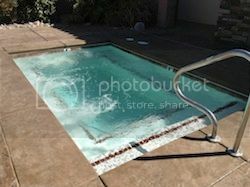 The recently renovated jacuzzi will be heated for your use on a daily basis. In the meantime, development is continuing on the residential and commercial parcels at a lightning-fast pace. The weather is perfect for a visit this month, so what are you waiting for? Now is the time to drive your own private oasis in the desert. Call Erik Odegard today to schedule your visit to the Club. Erik can be reached via email erik@racespringmountain.com, TOLL FREE at 800.391.6891 ext. 241, or by cell (702) 335-5450. Club Spring Mountain's evolution continues with a rare opportunity to own a piece of the dream. You can be one of the first members to choose a home site at Spring Mountain through our Platinum Membership upgrade. The first private residential homes at the facility will be under construction within 30 days. Home sites of 1/3 acre, with a building pad of 110'x100' (depending on the location) are now available for pre-order, and you will have first choice of the location of your parcel with your Platinum upgrade. Tentative subdivision map approval is scheduled for October 27, and development continues at full speed on parcel improvements. Any membership that is currently in good standing at Club Spring Mountain can be upgraded to Platinum status. In addition to the benefits included in your regular membership, an upgrade to a Platinum membership offers you a 10% discount on the home site of your choice in the private residential community (for the first 20 Platinum members only,) first choice of the location of your parcel, exclusive private access to the beach and cabanas, more guests allowed per month on your membership, gate passes, and much more. 100% of the $25,000 initiation fee will be applied to the purchase of your parcel. For complete details on the Platinum upgrade, please contact Mike Weeks, Vice President of Sales, at 949-235-7810, or mike@racespringmountain.com. Join us for an action packed race weekend this month, beginning with the Saturday and Sunday Drivers Meeting at 8:00 am, followed by 25 minutes of Orientation laps at 50 mph speeds (flashers required.) 25-minute sessions (Radicals, Sports Cars and non-racers) for practice, fun and qualifying will run throughout the day. Once again this month we will feature TWO separate Radical races...a rookie race and an SR3/Unlimited Contest. A Miata/Lotus Race will also be held on Saturday and Sunday. To cover the new course we are adding more flaggers, additional corner worker stations and a Professional Race official from NARRA. Club members will no longer be involved in race rule enforcement. This month we will be tying all four tracks together and you'll be racing on a fast and fun 5.4-mile course that has never been driven before! Your Thursday and Friday morning practice sessions will be on the all new 2.1-mile road course, and on Friday afternoon (after the GM program) the complete race course will be open for your enjoyment all weekend. Miata/Lotus Race! A highlight of next weekend's action-packed Club race weekend will be a combination Miata/Lotus race contest. To help increase the sports car involvement on the race weekends, Charter Member Jack Fried has organized several Lotus owners to participate in a friendly competitive race that will run as a split start with the Miata racers. The Miata/Lotus race will be run at 11:35 am Saturday morning, so please cheer on our Sports Car racers in this fun and exciting contest. Our new interior road is allows direct access to the new section of the property from the front gate. Executive Chef Susan will be hosting member lunches on Thursdays and Friday on race weekends in the multi-purpose building adjacent to the new track. Saturday night Banquet! Please join us for an evening of cocktails, dinner and camaraderie at the Clubhouse on Saturday night, with a delicious menu by Chef Susan. Buffet breakfasts are included in your race fees. Lunches are 15.00 with pre-registration or $20.00 at the event, and Dinner is $35.00 with pre-registration or $40.00 at the event. Check out the photos from the September 2013 Club Race. We look forward to seeing all of our members at this exciting Club weekend! 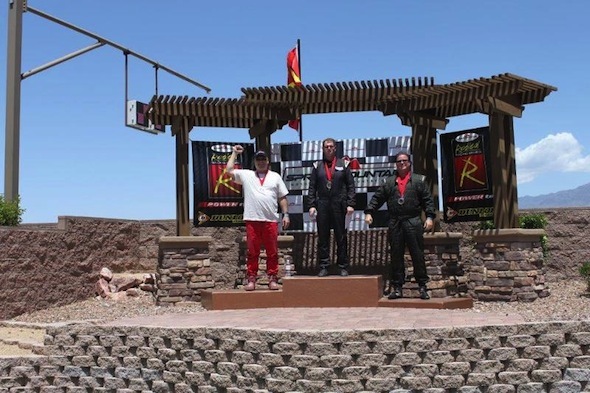 The 2013 Radical Cup champions have been announced, and we're proud to report Club Spring Mountain members Gerhard Watzinger and Tony Bullock each clinched their class championships in style after victories during the season finale at our sister track, Monticello Motor Club. Also on the podium were Club members Jim Booth (SR8), George Kurtz (SR3), Adam Merzon (SR8) and John Falb (SR3). Narrowly missing the podium in the exciting contest and running a very close 4th was "Superman" Mark Allan. As champions, Watzinger (SR8) and Bullock (SR3) will each receive a race in the Radical Cup Euroseries next year. As he collected the most points of any driver in either class, Watzinger has also won a chance to test a 200mph+ capable Le Mans prototype (LMP2) car. Congratulations to our expert Club Member drivers! We would also like to thank our hard working Radical race crew, who traveled the country to support our member racers. A winning team of skilled racers, their families and support staff were all dedicated to common racing goals, and their hard work was rewarded with these championships. Michael and Virginia von Quilich, Charter Members of the Club, are a winning team in racing and in life. 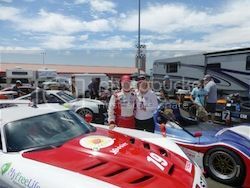 This season, they campaigned both of their Dodge Vipers with the "Redhead" (red) set up for SCCA rules and the "Rattler" (white) modified for the NASA circuit as MeNo Racing. Campaigning two cars in two different sanctioning bodies proved to be quite a challenge but their efforts really paid off. In six conference races, von Quilich took five wins and a second-place finish. His season started with back-to-back wins at Buttonwillow Raceway Park, followed by another pair of wins at Pacific Raceways, finishing the season with a win and second-place at PIR. With a perfect qualifying record, von Quilich was the polesitter in each race he entered in 2013. Michael is grateful to those who made the championship campaign a possibility. "My wife, Virginia, is an integral member of the team. She times all of my laps, and does the tire pressures when I come in for tire checks. Her send-offs over the radio inspire me to do my best. Jim 'Tapper' Tapp is our crew chief. He has done a masterful job of keeping the car in top tune. His suspension setups were a major factor for us to set T-1 track records at every track this year." Michael and his MeNo Racing team won the SCCA Majors Western Conference Championship with the Redhead and the NASA National Championship with the Rattler with races at tracks in Seattle, Portland, California and Utah. The team also set new track records at every event they raced this year in NASA Super Touring 1 and SCCA Touring 1 classes. Congratulations MeNo Racing! 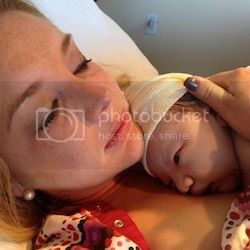 The youngest member of Club Spring Mountain made her grand entrance in Newport Beach, CA on October 10, 2013 at 4:36 pm, weighing in at 7 pounds 4 ounces. New mother Jessica, proud father Jeffrey Cheng, and the beautiful new Liana are all doing well, and looking healthy. Congratulations to Jeffrey and Jessica from your Club Spring Mountain family! We look forward to seeing this little beauty at the Club very soon. Exhilarating Driving Programs at BIG Discounts! It's a whole new world at Spring Mountain Motor Resort & Country Club, a 313-acre driver paradise with the longest road course in North America. 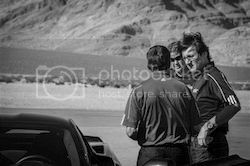 A destination resort for motorsports fun near fabulous Las Vegas, Spring Mountain is home to the exclusive Ron Fellows Performance Driving School for Corvettes. We also offer the popular Cadillac V-Series Academy, with a fleet of Cadillac vehicles to try out on the track. If you prefer formula-style racing action, check out the Radical Fleet of extreme sports cars from England in our Radical Racing Schools. 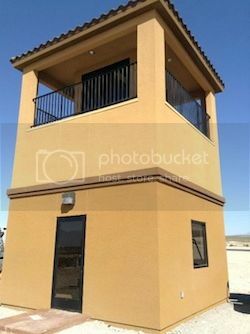 Spring Mountain's road course is faster and more exciting than ever, with a major track expansion completed this summer (see details below) including a 2.1-mile road course addition, a 7,200 square foot multi-purpose building for driving school operations, a new control tower and more. Grand Opening Specials on Driving Schools! To celebrate the GRAND OPENING of our 2.1-mile road course, you can try our top-rated Performance Driving schools at low discount prices all season! Check out our 5-star program reviews from Yelp and Trip Advisor. For more information, view our Grand Opening Special information page, call TODAY TOLL FREE at 800.391.6891 or contact us to schedule your class! Discounts apply to ALL Corvette Schools, Levels 1-3, Cadillac V-Series Academy, and Radical Racing Schools. At Spring Mountain, we are dedicated to providing you with the most innovative and exciting programs and services available in the motorsports industry. Find out why a trip to Spring Mountain should be on the top of your list. Call us TOLL FREE at 800.391.6891 to reserve your space in class TODAY! Not for the faint-of-heart. Check with your doctor before experiencing the ALL-NEW road course at Spring Mountain. After a momentous summer of development, we're unveiling the latest and greatest improvements to date for your driving pleasure this season. Check out the amenities in our NEW track expansion. THE TRACK! The new 2.1-mile 40' wide track includes an 81' elevation change high-speed spiral with a high bank, a blind ascent and extreme G-force turns. The all new road course also features 4 fast new straights, ranging from 700 to 2,100 feet. Spring Mountain is now the longest track in North America, with over 6-miles of road course for your driving pleasure. SKID PAD. More space for practicing your driving skills with our new 300x500 square foot Skid Pad. CURBS. Beautiful new curbs with special features for safety and speed. TRAINING & EVENT CENTER. The new multi-purpose, 7200 square foot Deluxe Training and Event Center is ready for our first Performance Driving Classes of the season. NEW ENTRANCE! A brand new entrance to the newest section of the track is paved and ready for entry off Highway 160. GARAGES. The 14-bay garage building with Air Conditioning is nearly sold out. CONTROL TOWER. The viewing/control tower for the new track extension is nearly complete. RESIDENTIAL & COMMERCIAL LOTS. Development is continuing on the residential and commercial lots with grading later this winter. Plans include the construction of Hotels, Restaurants, Gas Stations and more. THE LAKE! Plans are being finalized for an 8-acre, 10-foot deep lake for Paddle-boarding and Jetpack operations, complete with white sand and cabanas. Experience the all-new 2.1-mile track throughthis video link, both clockwise and counter-clockwise! Or, just visit us this season and see for yourself! We are happy to announce that http://www.springmountainmotorsports.com/ is the host of the Official 2014 Chevrolet Corvette Stingray Dealer Sales Academy. Only the most successful Chevrolet dealers across the country, meeting strict criteria for allocation of the hot new C7's, will be selling the redesigned 2014 Chevrolet Stingray when sales begin later this year. The 2014 Corvette Stingray coupe will be shipped to eligible dealers in the third quarter and record sales are projected. The Sales Academy is an extensive 1 ½-day training program, and before the Dealers can sell the highly sought-after Corvette they must first designate specialists in Stingray Sales and Service to attend the course at our facility. The program will run at Spring Mountain until March 2014. As The Official High Performance Driving School of Chevrolet, our own Ron Fellows Performance Driving Schools have begun the fall season with classes held in the newly completed Training Center. We are proud to be the Official Driving School sponsor of the 20th Annual Corvette Funfest. The 4-day event, September 19-22, will be held at Mid America Motorwork's Corporate Campus in Effingham, IL. Funfest is the world's largest Corvette party with a Fun Run road tour, a Downtown party, charity events, Celebrity choice judging, Saturday night entertainment and more! 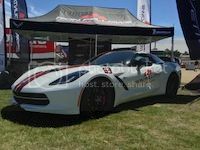 Please join us at our booth and register to WIN a Level 1, 2-day Ron Fellows Performance Driving School Experience valued at $2,465.00! (Winner must be present at the Funfest Rock Concert on Saturday night to collect the prize.) Come say hello to Spring Mountain staff members Shelley Mansholt, VP Marketing, Donna Hammontree, Sales Associate, and Todd Joyce, Professional Driving Instructor, and take advantage of our "Funfest Show Specials" on High Performance Driving programs. Spring Mountain CEO John Morris, and Ken Melgoza, Club Spring Mountain Radical Cup SR8 Champion for 2012, visited Radical Motorsport in England this month for a tour of the facility and an introduction to European racing. Radical has been working on their latest masterpiece, the Le Mans-inspired road legal RXC. The RXC is a result of 3 1/2 years of design and development to create the world's most extreme road-legal coupe. Inspired by contemporary LMP design, the RXC brings a true taste of Le Mans to the road. Dramatically styled, high in performance but with low running costs, the RXC is powered by a 3.7-liter V6 engine, and capable of speeds up to 175 mph and 0-60 mph in 2.8 seconds. Radical's first ever closed-cockpit car made its debut at Europe's largest automotive expo, the Frankfurt Motor Show. 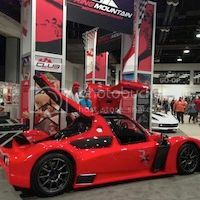 The US debut of the road-legal RXC is coming soon as members of Club Spring Mountain have ordered the RXC for delivery to the facility this fall. Radical expects to build up to 50 RXC vehicles per year. During his visit Morris tested the hot new Radical RXC in the rolling hills of the Ardennes on the beautiful and historic race circuit. The verdict is in, and Morris declares "It's a winner! I predict we'll be seeing many of our Club Members and friends driving RXC's on the road and at the track." As Champion of last year's Radical Cup, Melgoza won a chance to race at the world-famous Spa Francorchamps in Belgium. Club Spring Mountain members John Falb and Bruce Jones also raced in the European contest. 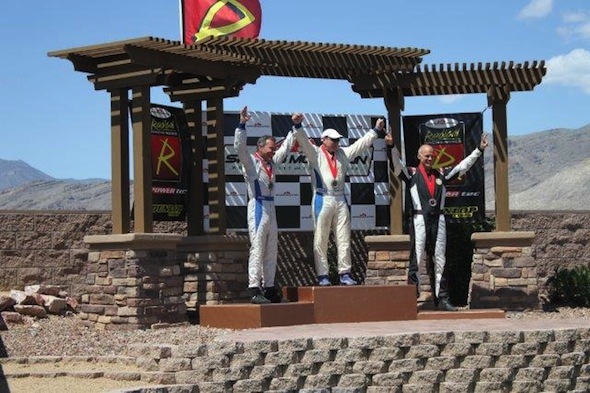 The 2013 Radical Cup champions have been crowned, and we're proud of Club Spring Mountain members Gerhard Watzinger and Tony Bullock, who clinched their class championships in style after each stormed to victory during Sunday's season finale at our sister track, Monticello Motor Club. Also on the podium were Club members Jim Booth (SR8), George Kurtz (SR3), Adam Merzon (SR8) and John Falb (SR3). Narrowly missing the podium in the exciting contest and running a very close 4th was "Superman" Mark Allan. View the entire NARRA race report. Spring Mountain's Radical Division, Radical West, provides sales, service and support of the fastest, most reliable and safest production race car in the nation. As the world's largest Radical distributor we provide factory authorized support that is second to none, and with Radical's official engine builder, Powertec, right on site, we'll keep your Radical running strong. Try out a Radical for yourself in our Radical Race School at a discount all season! Call TODAY TOLL FREE 800.391.6891 or contact us to schedule your class. 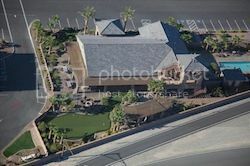 At Spring Mountain Motor Resort & Country Club, we sincerely appreciate your business and support. Your enthusiasm and participation has made our progress possible. On behalf of the management and staff, we THANK YOU for reading the latest Edition of the Spring Mountain e-News, and and look forward to seeing you at one of our many upcoming events! For up-to-the minute information, "Like" us on Facebook, or follow us on Twitter. Effective July 1, 2013 until August 31, 2013, Members will have access to the assigned track on designated member days from 7:00am to 2:00pm. The track will be shut down from 12:00 noon to 1:00pm each day for lunch. Members and guests will have a spectacular race weekend June 8-9, the last races before Summer break. Radical SR3/Unlimited Race 11:15 a.m. Radical Rookie Race 12:00 p.m.
Members will run the full track both Thursday and Friday to prepare for the Races. Thursday and Sunday we'll run the Stewart "C" 2.9 mile track, and Friday and Saturday will be the Mansell "C" 3.4 mile track. Friday Bracket Race - To entice more sports car drivers, we will be holding the bracket race on Friday afternoon. The bracket race will be open to all car classes. So come out early, practice, estimate your race lap times and participate in this exciting event. We need at least 6 drivers to run this race. Cars with slower lap times will start the race with a time advantage over faster cars so everyone has an equal chance to win the race! Pool Party! Saturday afternoon just after the Races cool down and have more fun in the sun at the Pool Party with music, bar, Frozen Margaritas, and tubes and floats in the pool. The Race Way Bistro at the Clubhouse is open nightly for your enjoyment. Chef Susan and her team will serve a complimentary continental breakfast each day, and price for lunch is $15 per person with pre-registration or $25 at the event, and Celebratory Dinner (view Special Menu) is $35 per person with pre-registration or $45 at the event, not including alcoholic beverages at the bar. Win a set of Dunlop Tires in a special raffle after the Sunday Race. Members who participate in both days' races are eligible. Keep your Radical running strong by our talented on-site team at Powertec, Radical's official engine builder. To sustain the pace, Manager/Chief Engineer Sean McGray has added a new engine builder, Bobby Blyton, to his staff who has more than 10 years of experience and trained with a former Indy Car owner. Our General Contractor Russ Meads and his team at Double M Construction paved the first layer of asphalt of the 2,100 foot straightaway last week as part of the new 2.1 mile, 40-foot wide track addition, and we're getting closer to being the longest racetrack in North America at 6.1 miles! Spring Mountain's vision to continue as one of the world's leading motorsports facilities is driven by the tremendous support and enthusiasm of our Club Members and Partners. 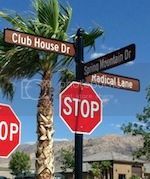 Development plans for up to 75 residential lots around the perimeter of the property line for future sale exclusive to Club Spring Mountain members. A tentative subdivision map to be recorded with Nye County later this year. 28 acres planned for Commercial property at front of facility to include a Gas Station, Restaurant, Hotel, and more. Bring your entire family to celebrate Father's Day Weekend. Members and guests are invited to our Complimentary Father's Day Buffet Brunch on Sunday at the Race Way Bistro from 8:00 a.m. to 1:00 p.m. Moms' and the kids can have fun in our 40-foot Pool while Dad drives. 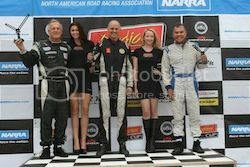 Rounds 3-6 of the new 2013 Radical Cup USA professional traveling series sanctioned by the North American Road Racing Association (NARRA) will get underway this summer. Congratulations to our own Club Members who are dominating the competition, and we wish them all the best in keeping up the momentum. Radical West and PowerTec are on your team to provide optional track-side support to ensure every competitor gets the most out of their racing. For up-to-the minute Radical Cup Race news, visit narraonline.com. Reserve your relaxing 90 Minute Hot Stone Massage for only $125 with Tina Seavey, our licensed massage therapist. She also offers Swedish, Sports and Deep Tissue massages. Gift Certificates are available, and with Father's Day ahead, you may treat the Dad in your life. Call Tina to book your appointment, 775-513-9360. Radical Race Weekend in May (View Photos) featured many firsts, with new Club Member Jim Booth, and our first time racers Terry Carlson and Collette Brawner. Jim Booth ran hard with Randy Carpenter in the Radical Unlimited Division, and on Sunday, he kept up with the Series leaders to land him a spot on the podium in Third Place. Terry Carlson had a tight race with fellow Rookie Driver Alain Derzie and passed him near the end to place Third. After only two days of Radical private driving instruction, Collette Brawner ran a good clean race and finished in 6th, and she makes history as the FIRST female racer in a Radical Sponsored Race, with hopes more women will join her at upcoming races! Troy Stevens Racing Specialties of Fairfield, CA, the leading U.S. maker of custom seats for all types of racing cars for more than 15 years, serviced many of our Club Members during our last race weekend. Contact Troy to have your seats customized at 707-372-7162. Your Membership and business is greatly appreciated by our dedicated Staff and Management. See you at the Club! Story ideas or suggestions for future Club E-News? Join the camaraderie of your fellow Members and enjoy the gorgeous Spring weather expected for three, wheel-to-wheel race weekend events...the Miata Series, Radical Series, and the Bracket Series. View full schedule for Saturday and Sunday, May 18-19 events. Members have the exclusive opportunity to enjoy the thrill of racing and compete in our adrenaline-charged private racing events, even for rookies, designed to be safe and friendly, with points and trophies awarded throughout the year. View Current Point Totals for 2013 Miata Race Series and Radical Race Series. Come early to practice and get exclusive use of the full track on both Thursday and Friday to prep for the races. A Mandatory Driver's Meeting is set for 8:00 a.m. on Saturday and Sunday. Chef Susan shares her culinary expertise and will offer a special menu at the Race Bistro for the weekend festivities and a celebratory Clubhouse dinner on Saturday night at 5:30 pm. After Sunday Race -- Racers who participate in both days' events are eligible to win a set of Dunlop Tires! Last month Club Member Tony Bullock was the lucky winner of the Tire Raffle. Tina Seavey, our licensed massage therapist, invites Members and guests to enjoy a luxurious 90 minute Hot Stone Massage for only $125 for both May and June. She's experienced in all techniques of massage, from Swedish, Sports, Deep Tissue, and more. Gift Certificates are available for all Massage Services, so plan ahead and treat your loved one, friends or colleagues. To reserve your appointment with Tina, reach her by cell 775-513-9360. Spring Mountain is making tremendous progress on the major track expansion project, and when completed we'll reign as the longest track in North America with configuration of 6 total miles. We'll break ground in June on new 7,800-square-foot Building dedicated to Cadillac V-Series Academy and JetPackAmerica. "Thumbs Up" from Nye County Officials for up to 75 Residential Lots around the perimeter of the property line for future sale exclusive to Club Members. A tentative subdivision map should be recorded with the County in July. Our vision for Spring Mountain to continue to be one of the world's leading motorsports facilities is driven by the tremendous support and enthusiasm of our Club Members. 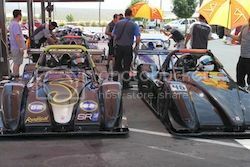 Cheers to all of our Club Spring Mountain Members participating in the new 2013 Radical Cup USA professional traveling series sanctioned by the North American Road Racing Association (NARRA). Round 3 of 6 races total will get underway June 28-30 at the Mazda Raceway Laguna Seca, CA. Our Members are dominating the competition, and we wish them all the best in keeping up the momentum and look forward to following the great progress the entire season! Too, Radical West and Powertec are on your team to provide optional track-side support to ensure every competitor gets the most out of their racing. 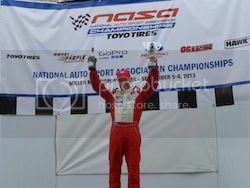 For up-to-the minute Race news, visit narraonline.com. Experience one of our high performance driving schools, or buy a gift certificate for family, or reward your business team and get one of the BEST deals of the year! Adrenaline-charged 3-Day, Level 1 Driving Program to lap up to 250 miles of track time in our Corvettes, designed by Racing Legend Ron Fellows. Club Spring Mountain proudly announces a new addition to our family of motorsports enthusiasts. Our new Sister Club, Autobahn Country Club in Joliet is situated on 350 acres of gently rolling countryside just outside Chicago, Illinois. 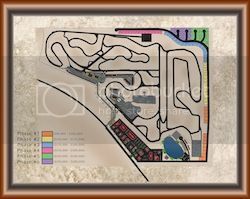 Autobahn is a road course racetrack featuring two challenging road circuits which may be combined to form a 3.56-mile 40-foot wide course with 22 turns. The two courses together create the second longest racing venue in the United States. We are pleased to announce a Reciprocal Membership offer to current Club Spring Mountain members. As our Sister Club, you can join Autobahn Country Club as an Alliance Member at 50% off the current initiation fees. 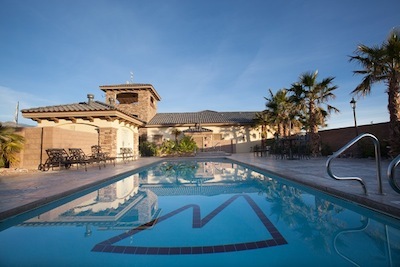 Autobahn Country Club members can also join Club Spring Mountain at a 50% discount. Club Spring Mountain members with a residence (primary or secondary) within a 250-mile radius of Autobahn Country Club are not eligible for this offer. As part of our alliance with Autobahn, the Radical Racing School will be offered at their facility in Joliet this summer. From July 20-25, three 2-day Radical Schools will be offered at Autobahn's facility. Autobahn's 1.5-mile North Race Circuit is the perfect course to let the Radical loose. With nine turns and a 1,200 ft straightaway, both car and driver will feel right at home. Autobahn's Pro Race Instruction Team will provide classroom and behind-the-wheel training, no matter your experience level. Each 2-day session is limited to between 6-10 participants. The Radical Racing School in Joliet will culminate with a Radical Racing event at Autobahn's facility on July 27-28. Autobahn Country Club is conveniently located one hour from downtown Chicago and O'Hare Airport in a beautiful rural setting, with easy access to major expressways. The facility is located just ten minutes away from major hotels and restaurants. For additional information about the Autobahn Alliance Membership, please contact Mike Weeks, VP Sales, at mike@racespringmountain.com, call the office at 800.391.6891 or Mike's cell phone at 949-235-7810. 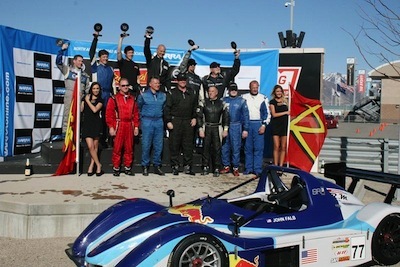 "The Radical Cup, America's newest sports car series, concluded its inaugural event in spectacular fashion on Sunday, March 31 at Miller Motorsports Park, Utah. Furious four-wide action turned into nose-to-tail racing lap after lap during Round 2 of the championship. Gerhard Watzinger and John Falb made series history, becoming the first ever back-to-back race winners, while Jay Torres gained his first podium. With a race and another days running under their belts, it was no surprise to see new names near the top of timesheet for Sunday's qualifying session. Mark Allan (#36) bounced up the charts to be 4th fastest in SR3, and making the biggest impression, Jay Torres (#123) qualified 3rd in class after missing all of Saturday." For all the details and race results, read the complete race recap. View the photos of Radical Cup USA at Miller from Friday, Saturday, and Sunday. The second Radical Cup USA weekend was held April 12-14 at Road Atlanta, and once again our Club Spring Mountain members dominated the competition. We will report all the latest results in the next Club newsletter. For up-to-the minute news in the meantime, visit narraonline.com or mylaps.com. 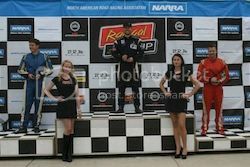 View the photos from last Friday April 12 at Road Atlanta. Congratulations to all of our Club members participating in the Radical Cup traveling series this year. We are looking forward to following your progress this season. 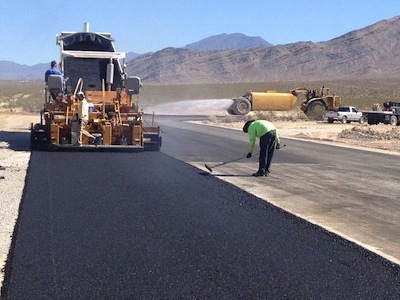 Spring Mountain Motor Resort and Country Club is happy to report that steady progress is being made on the track expansion project at the facility. The grading of the track is moving along as scheduled and Russ Meads, General Contractor reports that paving of the new paddock begins this week, along with additional grading. The bowl is now taking shape and the hill is visible by car and by air. A 78' drop has been shaped and you can see the sensation starting to form as you come off a sharp right hander and head down into the bowl at extremely high speeds to climb right out and twist back onto the fast and smooth 40' wide track. Grading and forming of the rest of the track will begin at the end of the week along with grading of the beginnings of the lake. Spring Mountain representatives met with Nye County officials last week and submitted a map to include 75 large residential lots to be placed around the perimeter of the property line with expansive views of the facility, the Spring Mountains, sunsets and the 8-acre lake. Plans for the models will be released shortly, and we are expecting a tentative subdivision map to be recorded with the County in July 2013. The project guarantees more extended road course variations with the longest configuration at 6.1 miles, making Spring Mountain the longest track in the country and second longest in the world. Join us for the first race weekend of the spring season to enjoy some exciting race events....the Miata Series and the Radical Series to be held on April 20-21. The weather is expected to be sunny and in the low 80s - perfect for racing and for spectators - so make your plans today to be here for all the fun. Come to the Club early to practice for the competition to enjoy exclusive use of the full track on both Thursday and Friday to practice for the big race. We are expecting a large field of Miatas and Radicals at the race, with drivers competing for points and trophies at the end of the year. Now is your chance to keep up the momentum! Please note that there will be two separate Radical races this month. The SR3 and Unlimited classes will race together and the Rookie class will race separately at a later time. Please mark your calendars to attend this Club race event, which will include a mandatory Driver's meeting at 8:00 am on both Saturday and Sunday. Again this month, immediately after the Driver's meeting a special 25-minute 50 mph maximum orientation-style lapping session (flashers required) will be held to become familiar with the track configuration. The Orientation session will be followed by back-to-back run sessions all day, a Miata and a Radical race on Saturday and Sunday, plus open lapping sessions and a tire scrubbing session on Saturday afternoon. Please note that speed restrictions will be imposed at the tire scrub session on Saturday, with a 3 grid penalty assessed if speed restrictions are exceeded. Chef Susan has a delicious menu planned for the weekend festivities and a celebratory Clubhouse dinner on Saturday night, April 20. On Saturday the 2.9-mile Stewart course will be in use, and on Sunday we will run the 3.4-mile Mansell course. A complimentary continental breakfast will be served in the Clubhouse each day, and the price for lunches is $15.00 per person with pre-registration or $25.00 at the event, and dinner is $35.00 per person with pre-registration or $45.00 at the event, not including alcoholic beverages at the bar. View the schedule for Saturday and Sunday's events. Mandatory SCCA Seminar. Please note that this Friday, April 19, 2013, prior to the race weekend we will be holding an SCCA licensing seminar for all racers who do not currently hold or have ever held a racing license. If you have not already done so, we are asking all racers to bring a copy of their racing license to the track. We will keep a copy of your license on record. According to our rules one of the eligibility requirements to race in the series is that a driver "Hold or have held (within the last 5 years) a regional level or higher racing license from an approved accredited organization such as SCCA, NASA, etc OR can show proof of completion of a racing program from an accredited racing school". Rick Malone, Head Driving Instructor, will be hosting the seminar and will give a one hour class Friday morning and another session in the afternoon (please contact us for exact times.) There will be no charge for the seminar and the program will be conducted again in May for those who are not able to attend this weekend. This is a great opportunity and we encourage all drivers to take advantage of these seminars. Completion of this seminar will satisfy the minimum requirements to race. View the photos from last month's Club races here. Sunday Tire Raffle! Win a set of Dunlop Tires in a special raffle after the Sunday race. Members who have participated in both days' events are eligible for this special raffle. Exhilarating & Fun 3-Day Level 1 Driving Program in current model Corvettes designed by Corvette Racing Legend Ron Fellows. Lap 300 miles track time, 2-way radios, skid control, braking exercises,heel-toe downshifting & cornering techniques. For more information CALL TODAY Toll Free 800.391.6891 and ask for the "Summer Driving Special", or sign up online. We are always interested in your feedback and appreciate your comments and suggestions on how we can make your time at Club Spring Mountain more enjoyable. For more news, photos and information about upcoming events, "like" us on Facebook. Thank you for your support, and if you have any questions, please feel free to contact Erik Odegard, your personal Country Club Representative. Erik can be reached via email erik@racespringmountain.com, TOLL FREE at 800.391.6891 ext. 224, or by cell (702) 335-5450.